Every detail is crucial. When a land owner orders a Phase I Environmental Site Assessment (ESA) for a property, the final report must be comprehensive and compliant. It is essential that the client and the environmental firm follow a Phase I Environmental Site Assessment Checklist for Cleveland, OH. However, the key to this defense is a solid assessment. If the Phase I ESA is incomplete or offers a sloppy report, due diligence was not performed, and the property owner could face serious consequences. What Should Be Included in a Phase I Environmental Site Assessment Checklist for Cleveland, OH? Basic data: The first item on the checklist is site location and contact information. This should include the property owner information, client information, specific site location, and contact information for the environmental firm. There should be no question who the responsible parties are and which site is being assessed. Historical information: This piece should include extensive research of the property. How was it used in the past? Were there any previous issues? The agency conducting the assessment should perform database research and local records research to gather all pertinent information. Personal interviews should be conducted with parties who are knowledgeable of the property. Historical documents and maps should be used to establish when the property was first developed and how it has been used since. Site reconnaissance: This detailed inspection of the property should be designed to reveal any possible contamination. It should include plumbing systems, heat sources, building construction, storage tanks, lead paint, fill materials, and water damage. Any potential sources of environmental issues past, present or future must be examined and included in the final Phase I ESA report. Adjacent property evaluation: Adjacent properties can have significant impact on the environmental conditions of the subject property. Surrounding land and structures should be examined to determine their potential influence. Specific knowledge of the unique conditions and challenges of the local area can prove advantageous for this portion of the Phase I Environmental Site Assessment Checklist for Cleveland, OH. Results: Based on the research and evaluation completed, the final piece of the Phase I ESA should be the findings and recommendations. The potential property owner should be able to use these results to make an informed decision about whether to move forward with the purchase and what price is reasonable for the property based on its condition. When it comes to Phase I ESAs, the old adage rings true: You get what you pay for. Sure, a lot of companies can provide an ESA, but do they have the specialization needed to provide a complete checklist of services? Not always. To avoid liability issues and ensure the future success of your project, partner with an environmental firm that offers reliability, quality and experience. If you’re simply looking for a low-cost Phase I ESA, you won’t get the precision methods and detailed reporting you need. 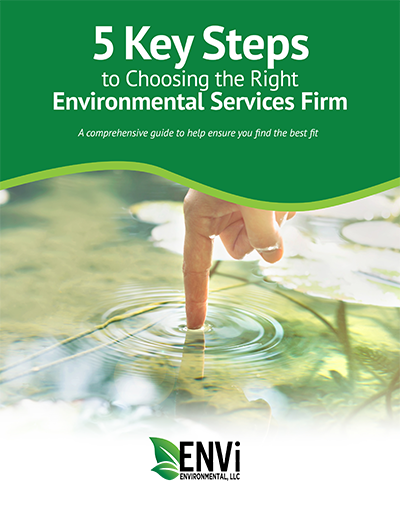 Equipped with a complete portfolio of services, ENVi Environmental is the premier local source for your Phase I Environmental Site Assessment Checklist in Cleveland, OH. Three decades of local experience gives our team in-depth insight into Cleveland properties, and our efficient, seamless approach meets the needs of complex projects from start to finish. With every Phase I ESA, we deliver clear communications, full transparency and complete reports. Contact our team today to find out more about our Phase I Environmental Site Assessments and how they can benefit your business.